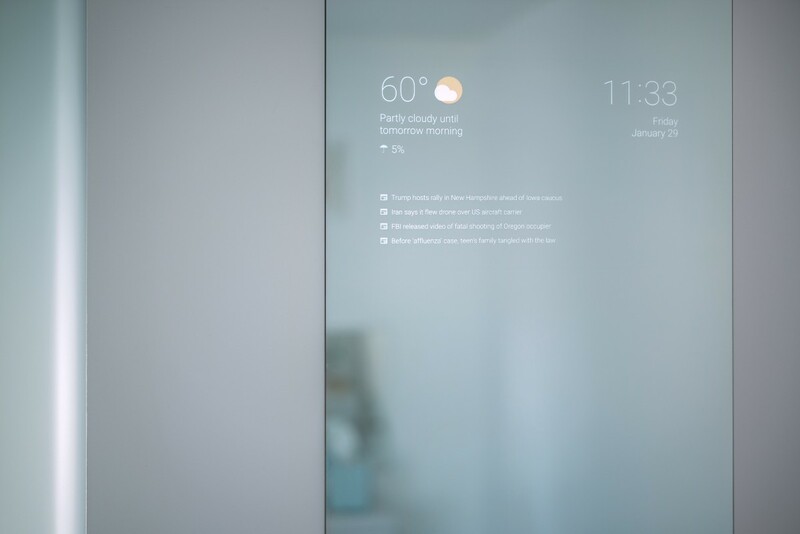 Home › Tech › He Decided to Make a Smart Mirror at Home. What He Made Was Truly Amazing! 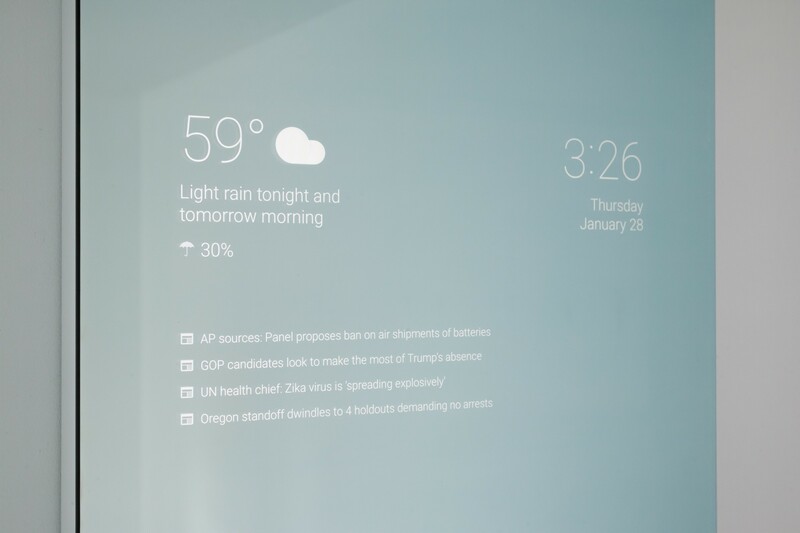 He Decided to Make a Smart Mirror at Home. What He Made Was Truly Amazing! I saw this post on Google Plus. 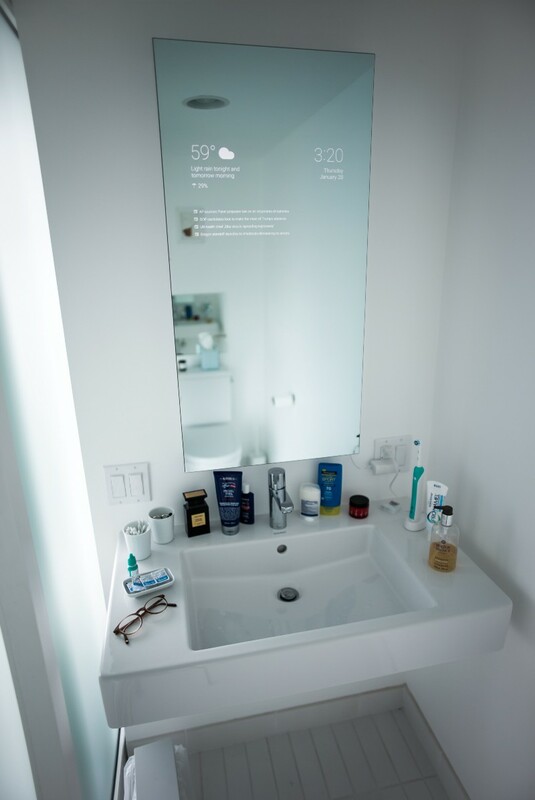 Max Braun made this mirror for his bathroom. It is so awesome, everyone needs one of these!! Sometime late last year I realized that I wanted my ordinary bathroom mirror to be more like the future we were promised in the movies. There doesn’t seem to be anyone selling the product I was looking for. The individual parts, however, were fairly easy to get. A number of people have done similar custom builds recently, but I had something different in mind. Welcome to my bathroom. 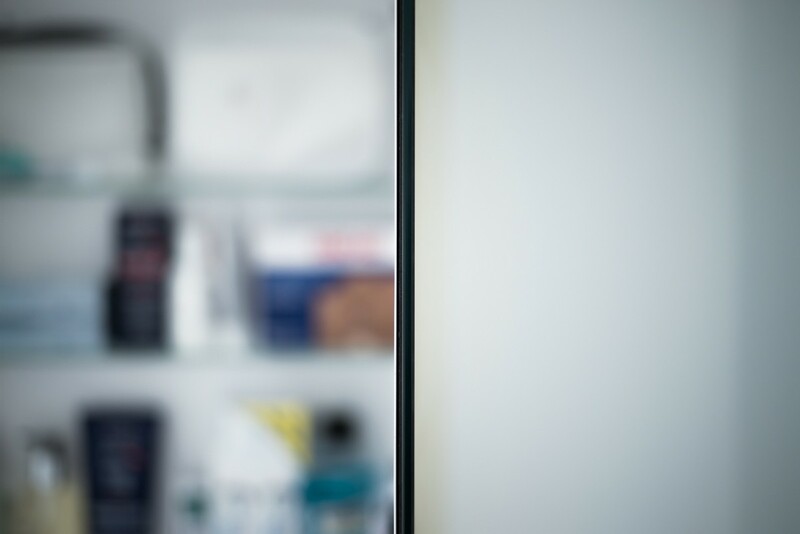 Please excuse the carefully arranged mess around the medicine cabinet and its pristine mirror surface. Unless the weather is cloudy, there will be a little color in the UI, but for the most part the text and icons are monochrome to prevent them from being too distracting. The code behind this UI uses some simple Android APIs (e.g. this one is neat) plus Forecast for the weather and the Associated Press for news. 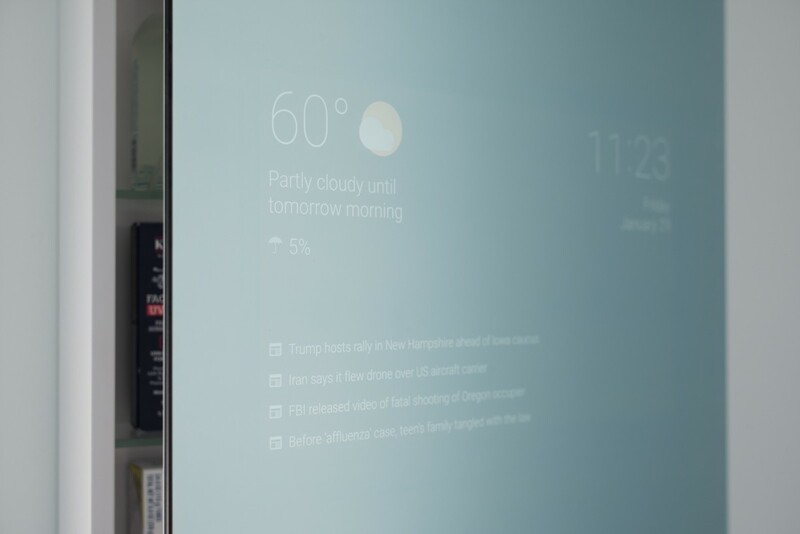 Other concepts I’m playing with are traffic, reminders, and essentially anything that has a Google Now card. The idea is that you don’t need to interact with this UI. Instead, it updates automatically and there’s an open-ended voice search interface for anything else. This prototype is still a work in progress and I haven’t spent much time on the software yet. The UI above is only a few hundred lines of code and I’m experimenting with different devices to run it—initially Chromecast, thenNexus Player, and most recently Fire TV Stick. And that’s where I am with this project so far. Looking forward to realizing some of the remaining ideas. Maybe I’ll post a more detailed making-of with the pictures I took during the build. 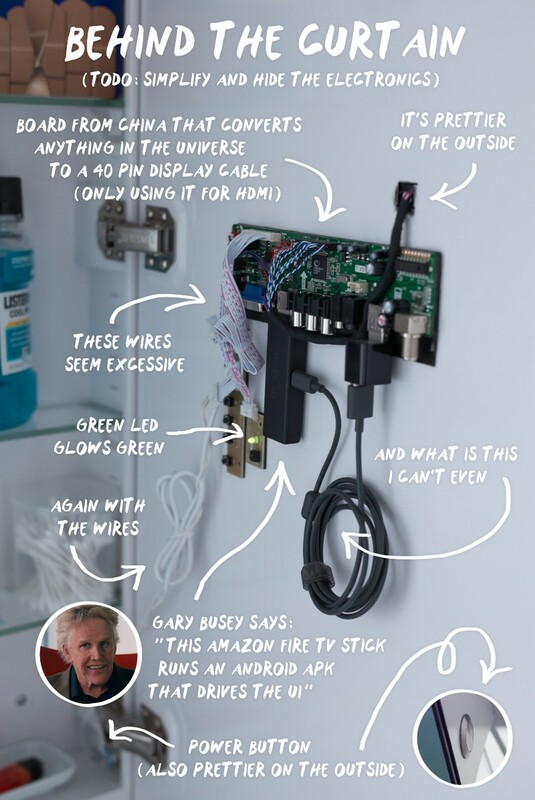 I make products at Google. I like taking pictures.